Secure IT Australia online backup solutions give you secure, automatic offsite backup that protects your files from accidental deletion, spills, theft and just about anything else that could harm your data. Once installed, your files are then continuously backed up to the cloud – so you can get them back when you need them most. Because the backup servi ce works continually, backing up new and changed files whenever you’re connected to the Internet, you can rest easy knowing your backed up files are always protected. Set it & forget it. Your files are backed up automatically to the cloud - so you never have to remember to back up. No hardware required. Continual backup. Whenever you’re connected to the Internet, your files are backing up – eliminating potentially costly backup gaps created by daily or weekly backups. Secure transmission. Using the same encryption technology used in online banking and e-commerce transactions, you know your communication is safe. Safe offsite storage. Your backed up files are stored in highly secure, state-of-the-art data centres which are guarded 24 hours a day, 7 days a week. Easy file recovery. If anything happens to any file, our software finds it in your backup and puts it back in its original location on your computer – in just a few, simple steps. With 5 plans to choose from, you can find the subscription that’s right for you. From individuals, families and students to home office users and small business professionals, Secure IT Australia has a plan to fit every backup need. With the Home plan, you'll enjoy all the essentials of unlimited online backup. Subscribe today and your irreplaceable files on your computer - like photos, documents and music - will be backed up automatically, and accessible at anytime, from any computer or smartphone. Using the HomePlus plan you’ll receive all the benefits of the Home plan, PLUS additional features that make your backup more complete. With HomePlus, you can include your external hard drive in your online backup, so you can rest easy knowing that all of your important files are backed up safely, offsite. In addition, you also get Mirror Image backup, which creates a local backup of your entire hard drive - including your operating system and software programs. HomePremier is the most comprehensive backup solution of the Home plans. In addition to all the features of Home and Home Plus, you'll also get automatic backup of your video files (instead of having to add them to your backup manually). In addition, you'll have the option to use Courier Recovery - a service reserved exclusively for Home Premier customers. Courier recovery allows you to have a copy of your entire backup shipped directly to you – which may be the fastest way to get your files back, when you need them most. 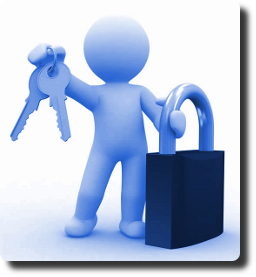 Talk to Secure IT Australia today to organize the best plan for your business. We can assist you in find the best plan to suit your needs. We can also install and configure the solution completely. Copyright © 2017-2019. Secure IT Australia. All Rights Reserved.